Wouldn't you love to get a steampunk gift from your valentine? Natalia has several unique ideas to wind up your heart, including a lace wrist cuff embellished with watch gears, a vintage inspired skeleton key necklace and my unicorn warrior magnet. A beautiful treasury....January is almost over, that means that "The Walking Dead" will start again soon. : ) Cannot wait. Steampunk gift ideas are a great thought for Valentine's Day! Thanks for another great link up. As a Steampunk fan, this treasury is right up my alley! Nice work! Really pretty - thanks for letting me add mine to your list! The more I see of Steampunk art, the more I like it! Great treasury! 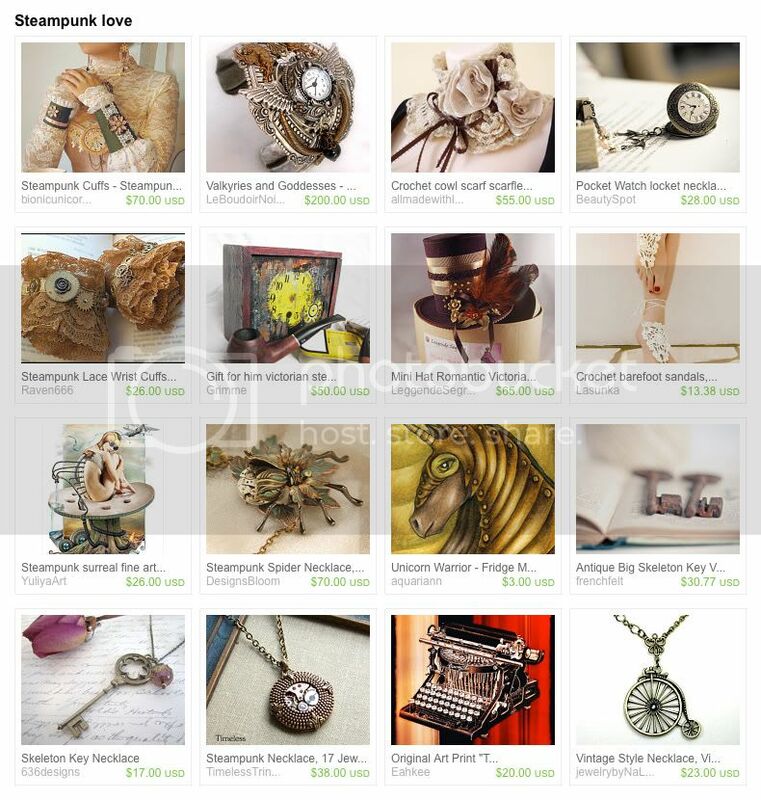 That's funny, my treasury this week was steampunk too! Such a gorgeous collection you've been included in! Thanks, have a wonderful day & weekend. Whoops! sorry! I posted my blog name and not the treasury name. There are some beautiful treasuries linked here!